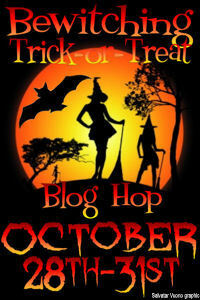 Welcome to the next stop on the Bewitching Trick-or-Treat Blog Hop. As part of the blog hop I'm holding a contest and giving away a PDF copy of my latest ebook, Right Street, Wrong House, available from Silver Publishing on October, 29th. All you have to do for a chance to win is visit this blog before midnight (PST) on Oct 31st and leave a comment. Don't forget to include your email address. I'll announce the winner on November 1st. To continue trick-or-treating click here to go to the list of blog-hop participants. There's over 100 authors participating in this monster-sized Halloween blog-hop. Each author is giving something away so be sure to check them out for a chance to win a treat. I also 'liked' your FB page. Happy Halloween Pender! 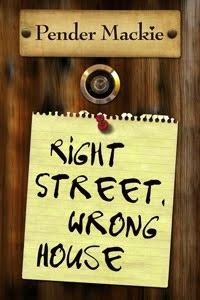 Can't wait to read Right Street, Wrong House. Hey Pender, Happy Halloween! Enter me in that, please! Hello and happy halloween. Hope you have a great night! 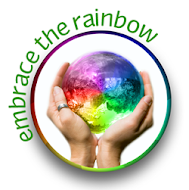 I'd love to be entered in your contest...and I "liked" your FB page! Do glad you are part of the blog hop. Liked your Facebook page. Hi Pender, Just wanted to say Happy Release Day! Sounds like a great read! Thank you for participating in the Trick or Treat Blog Hop. Please enter me in the contest. Thanks for being part of the hop & giving away a copy of your new book. I've liked you on facebook. I've got to know, how on earth do you cut your tongue on a tootsie pop? Thanks to everyone for entering the give away.